Music Monday time! I’ve been on the search for new tracks again and in this post I will present you with the results aka six great new tracks to expand your music collection. But first some breaking news for all fellow Bastille fans out there. They have played another new song at a festival last week and it sounds pretty good and really exciting – watch the video when they performed The Currents live for the first time here. I’m so ready for LP2, hopefully we won’t have to wait too much longer. Back to why we are here – the Songs of the week. 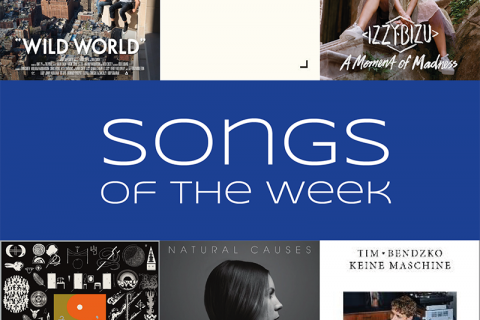 It’s somehow a special week because I have put a song with German lyrics on the list for the first time ever. Firstly, there’s the one I just had to put on this list. Sigala has released another great dance track, the British producer can’t do anything wrong, can he? Give Me Your Love is featuring John Newman and Nile Rodgers and continues the legacy after the hits Easy Love, Sweet Lovin’ and Say You Do. If It Ain’t Love is Jason Derulo’s catchy new single and the second song on this week’s playlist. To be honest it’s nothing special, but it’s a solid song to dance to. 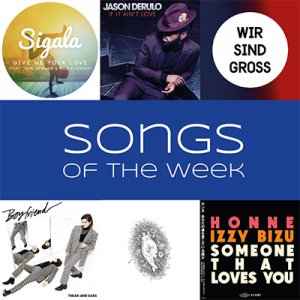 This remix by Calyre of Mark Forster’s Wir sind groß (“We are big”) is the first song on Songs of the Week ever which is sung in German. It’s been stuck in my head over the weekend since it was released on Friday and therfore I just had to add it. Boyfriend by the sisters Tegan and Sara is fitting perfectly in this week’s list of catchy tunes. It sounds a bit like a Spice Girl song from the 90’s and I love it! Mura Masa’s What If I Go? is already a month old, but still beautiful. The producer and multi-instrumentalist mixes R&B, indie, brass and electro into a stunning track. 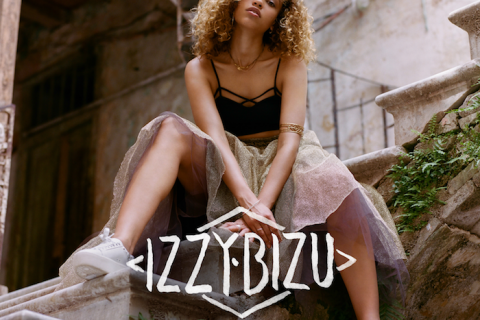 Someone That Loves You is a cooperation of electronic soul duo HONNE and singer-songwriter Izzy Bizu. The duet is a great relaxed song with an ambient sound and a great story about to people meeting for the first time. That’s it from me for another week. Which song is your favourite? Let me know in the comments, I love hearing from you.